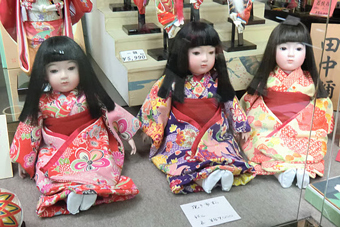 You can see these all dolls in this shop. This is long-established famous shop since 1808. 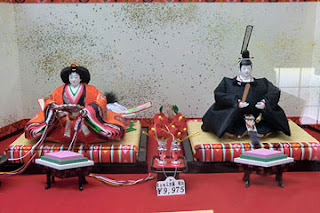 The above three pictures are "Hina-ningyo". We celebrate the Girls' Festival on March 3. Parents who have little girl display these kind of dolls in their house on that day. 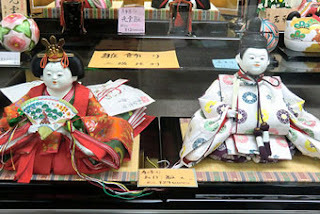 These are originally a doll for dress-up. 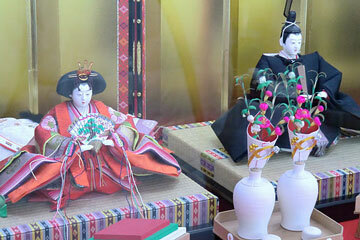 These are traditional craft in Japan. 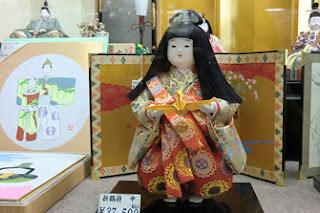 Kyoto girl in ancient times. These are good for souvenir when you visit Kyoto,I think. 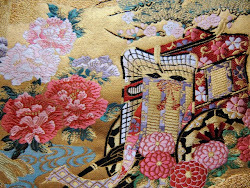 I think your Yuzen handmade crafts are really amazing! 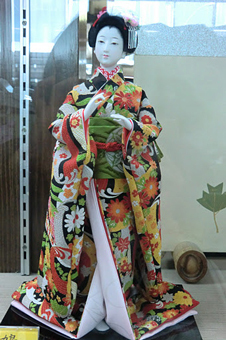 Your ichimatsu doll is really beautiful! And I love your Baby Bunnys! They're so cute! Your blog is lovely. I hope you and all your family are well in this hard time for Japan. Take care. Thank you so much.Let us keep people suffered great damage in our thoughts during this hard time. It is my pleasure if this post will help you. And please enjoy Kyoto and Nara to your hearts content. I hope you will find nice doll there!